If you are environmentally aware, then you may well be driving a hybrid car – possibly even considering an electric car as a motor of the future. However, if you’re in the UK then there may be another solution available. A hydrogen refuelling station is set to be made available that could even be installed in the home – making Honda’s solution even more viable. For a while now, hydrogen has been the fuel of choice for those who have sought to lower emissions and stop the burning of fossil fuels (something that still takes place, by and large, even when using an electric car). Unfortunately, a big stopping point has been the amount of refuelling stations that had previously been available. Hydrogen has to be produced using another energy source in order to power cars, but once made it can also be used for power, cooking and heating. As a downside however it is (currently) inefficient to produce, expensive to transport and also to convert into electricity. However, a home-based system could kick-start this industry claims ITM Power (the people behind the home based technology). The home-based system works via an electrolyser that produces the gas from water and electricity (which means it still requires some power from the mains). An internal combustion generator converts the gas back into electricity to provide power for use in the home for whatever needs the family may have. ITM Power has apparently set up a showcase home in Sheffield, where the gas is being used for heating the home, cooking and operating the fridge (so far successfully). In terms of actually powering a vehicle, the unit in a car can make enough gas overnight to drive 25 miles. Obviously, this isn’t very far. The hope, however, is to provide high pressure units that will allow a vehicle to have a running distance of 100 miles before needing a refuel. Whilst expensive, the question remains – is this going to be the fuel of the future? Well, I’m not sure I fully understand it yet so I don’t feel in a position to give that verdict. What I will say though is that as electricity prices are rising it doesn’t sound so great for the wallet – even if it is excellent for the environment. However, that electricity, as pointed out earlier, is going to be produced via the burning of fossil fuels. Is it simply moving the emissions elsewhere? 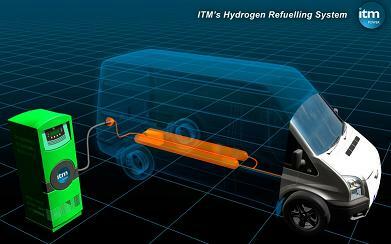 At the start of the launch of the technology, ITM Power showed a demonstrator in the form of a Ford Focus hydrogen vehicle. It required 3 pieces of kit to make it petrol (or diesel) free: a hydrogen tank, four hydrogen injectors and a chip to ensure the engine was running on the right fuel. Unfortunately, this meant a cost of £3,500 – so it’s not something you’d do lightly. The home prototype would also cost around £2,000 – again not exactly chump change. How about Honda? Well they are now producing a zero-emission hydrogen fuel cell vehicle – of which 200 will be produced in the next 3 years. Not exactly huge numbers but still it shows progress is being made. Will all cars in the UK be hybrid or electric by 2020 in Britain though? Personally, I think that is quite optimistic. The infrastructure just isn’t there and whilst we might have many things in the UK, a fast-moving motor industry is not one of them. Xbox 360 recap: how much more life left?